COPYRIGHT: The images and texts on this website with copyrights are presented under the Fair Use Provision of the Copyright Act - only for noncommercial and educational purposes. All copyrights (Â©), trademarks and service marks are the property of their respective owners. To request permission to reproduce a specific image, please contact the individual artist, institution and/or original web site. While his premature baby Max was in the hospital, being kept alive by advanced medical equipment, Abeles drew a series of portraits that became a record of the family's ordeal and eventual triumph. Testimony of a parent's faith in the healing power of art and love. . .
Not a sketchbook but an interesting drawing surface! A space and the marks of what it is to be and be in face of. Those deep marks to show. 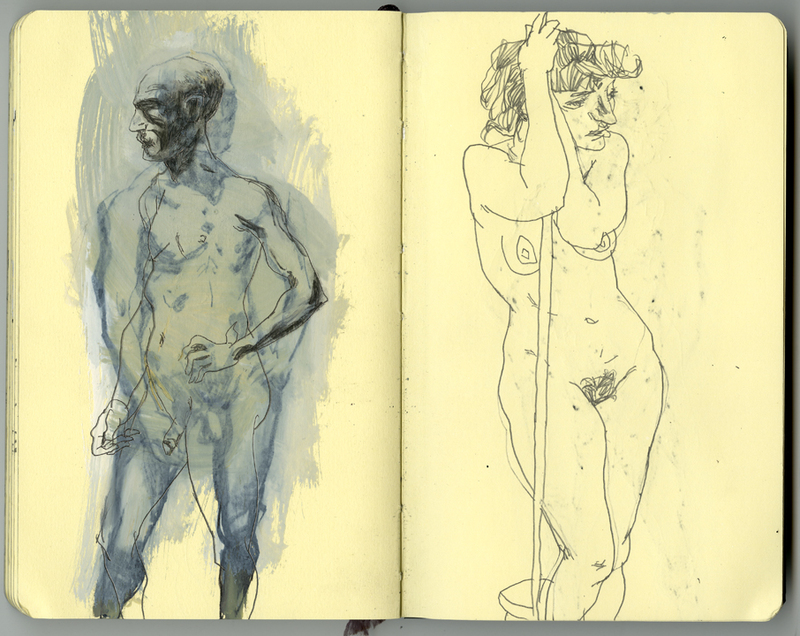 "Sketchbooks are a vital part of my practice, both as brainstorming for larger works and as ends in themselves. I began using sketchbooks in 1996 and have accumulated over 30 of them since that time. "Fascinated by the rebuilding of London after the Second World War, Auerbach combed the city's numerous building sites with his sketchbook in hand. Back in his studio he worked and reworked each painting over many months resulting in thickly built up paint surfaces more than an inch." Souls sketchbook almost done. . .
"A 'sketch' is: a rough idea; the basic elements; a quick interpretation of something; a quick plan for a possible later product; essential features; a preliminary layout; a quick study; an outline; a workup." La prochaine Biennale du Carnet de voyage, prévue du 14 au 16 novembre 2008, a Polydome, se prépare activement. Plus de 150 auteurs de carnets et écrivains du voyage prendront a nouveau la direction de Clermont-Ferrand. "Quick series of vertical lines around a forest and stream. "A drawing should express the emotion of tactile experience. 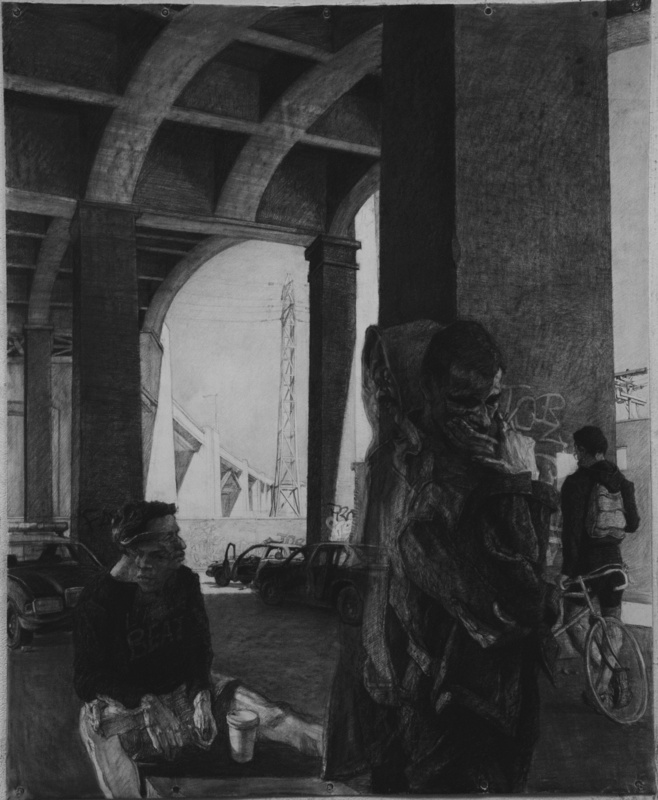 The artist may mix the media of strongly textured material with drawing . 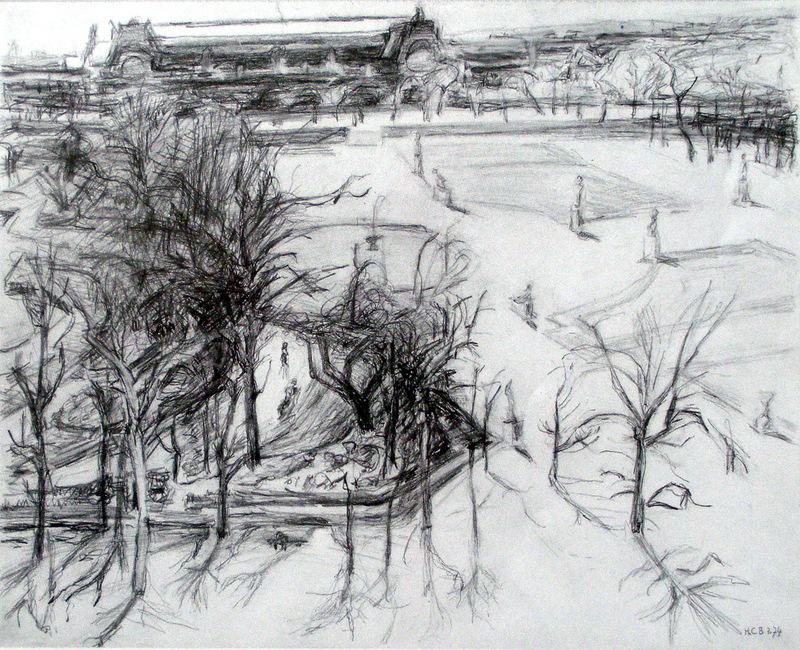 . . Look carefully at the textures of the landscape before you begin to drawing them. Fig. 6-16 Elise Brewster. Landscape in text, from travel sketchbook. in Rendering in Pencil, Arthur Guptial . . ."
:"Amherst College's new admission recruiting viewbook contains a handsome, eye-catching frontispiece: a two-page color drawing of the Octagon, Johnson Chapel. "The artist is Elise Brewster '84, a landscape architect who lives in Berkeley and works with scientists who are trying to restore San Francisco Bay. When she was tapped for the project, Brewster was in Rome. A 1997 winner of the prestigious Rome Prize, she was spending a year living and working as a Fellow at the American Academy. Her goal was to deepen her understanding of the classical landscape. 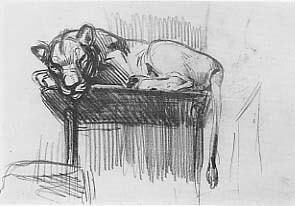 She did this by sketching constantly at the Janiculum, the beautiful hilltop on which the Academy is located, and on excursions around the city. 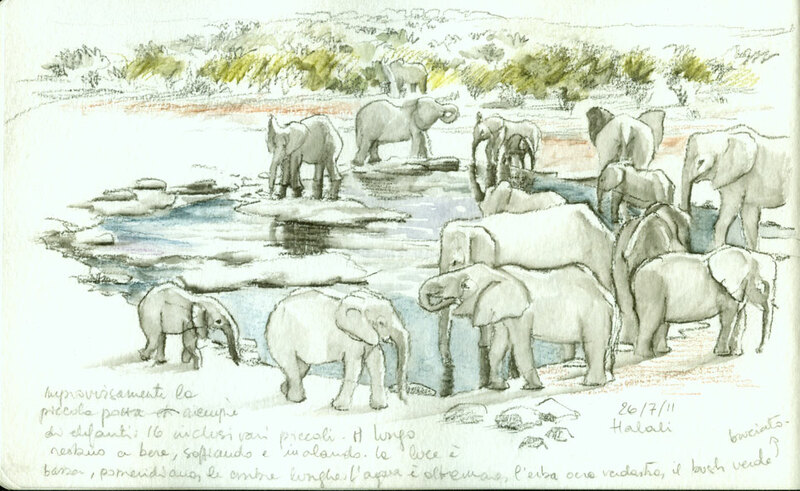 By the time she left Rome she had filled 24 sketchbooks with her drawings. 'This is the way I learn a place,' says the former art and English major. 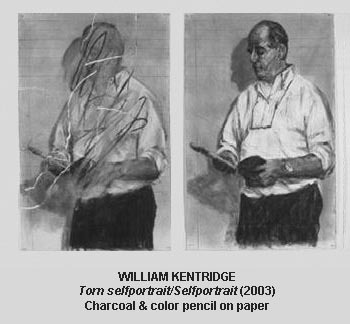 . ."
right: Arboretum (2006) a collection of drawings and diagrams mapping the strange corners of Byrne's mental landscape. 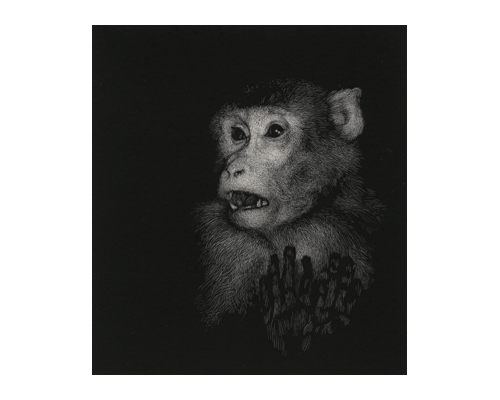 . .
and prints and their integration into the larger art world.  Le Luberon. . .
sHandke (a group admin) says: Hello fellow artists. I have been creating an online blog, entitled Community Sketchbook where I would like to post pages from all artists' sketchbooks. Eventually, I hope to create an actual sketchbook that is mailed from one artist to the next via "snail mail," and those images will then be posted on the blog. If you like this idea and would like to see your pages of your sketchbook(s) posted to the blog, please join. Spanish translation: "of return with the notebook"
 "A Tale of Two Brothers"
sketch of elephants, © 2008, David G. Derrick Jr.
ink sketch of lion, © 2008, David G. Derrick Jr.
Daniel Robert Eldon (18 September 1970 - 12 July 1993) was an English photojournalist. The son of an American mother and English father, he moved with his parents to Nairobi, Kenya, when he was 7 years old. In 1993, after a botched military raid that left hundreds wounded and dead, angry Somalis attacked journalists who had arrived on the scene to cover the story. Tragically, Dan Eldon and three of his colleagues were beaten and stoned to death on July 12th by an angry mob in Mogadishu, Somalia. He left behind a series of journals, which his family has exhibited on the Internet and on a worldwide tour. 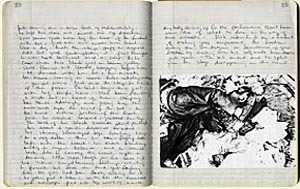 Dan Eldon created most of his journals between the ages of 15 and 22, although he created several small notebooks previously. He started his more formal journals in 1985 for a school anthropology trip and an English class. At the same time, he was beginning to travel around Kenya more often and to take more photographs. Filled with ephemera from his young life - newspaper clippings, food labels, call girl cards picked up in London phonebooks, and even grains of rice - the journals are stored at the Los Angeles country Museum of Art. 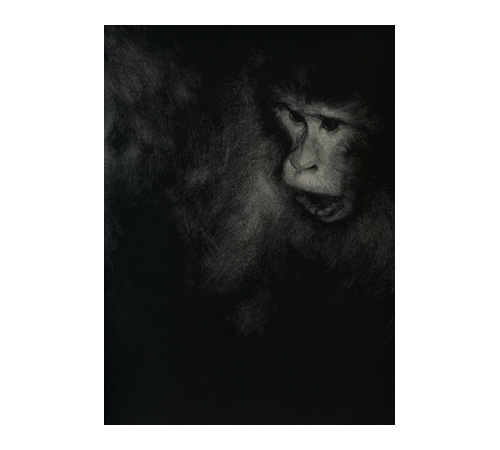 . .
Dan Eldon was an artist and photographer who left behind a captivating visual legacy. His art exudes expressions of the untamed, compassionate and creative soul. . .
A collection of 17 artist's books, consisting of drawing and writing, for a show at Katharine Mulherin Gallery, May 2009. While seemingly individual in their ideas and titles, the books in Library I often expand into each other, exchanging words and images. Some characters and pieces continued on in altered form to my book Mascots. "I've been keeping books pretty much consistently since I was fourteen - which at this point is more than twenty-five years. I was very fortunate to have had good mentors as a teenager, and was introduced to keeping a daily sketchbook during high school. The practice of keeping one with me wherever I went, integrating these books in to my life, came very easily. . .
. . . I identify with those artists that straddled the line between old and new ways of thinking; principally people who worked in the late nineteenth and early twentieth centuries. From that period I love Degas, Toulouse-Lautrec, Picasso, and others from the early Modern era. Obviously, there are some heavy visual influences from Robert Rauschenberg and Jasper Johns. Another inspiration worth mentioning is Dan Eldon, the young Reuters photographer who was killed in Somalia back in 1993. His visual journals are amazingly beautiful, and communicate an incredibly vivacious and adventurous spirit." 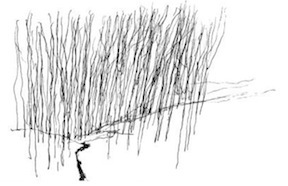 "Creating a Culture of Sketchbooks"
"Annie Freud, poet and writer. Her first home was in Maida Vale where she lived with her parents, Lucian and Kitty Freud. 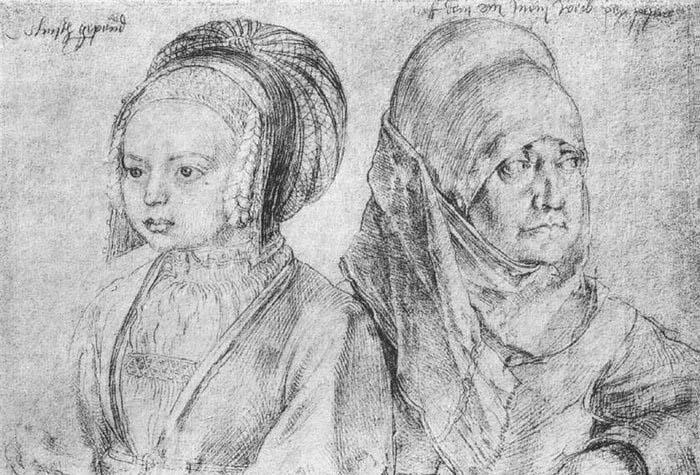 Her parents separated in 1952, shortly before the birth of her sister, Annabel. . . Annie lived with her maternal grandparents, Jacob and Kathleen Epstein in term-time, until her mother was remarried to the economist, Wynne Godley in 1955 and they moved to Chelsea. Throughout her childhood, Annie grew up aware of the arts as part of her daily life. . . Her poems have appeared in a number of magazines and web-sites and in 2005, a small collection of her poems was published by Donut Press, under the title: A Void Officer Achieves the Tree Pose. Her next book Best man in the world was published in 2007, followed by a collection of poems, The Mirabelles , in 2010." pencil on paper, 10.25" x 8.25"
Google search: "Giacometti + sketchbook"
produced in Urach, South-West Germany in 1494. It was dedicated to Count Eberhard of Wurttemberg.  mydogoscar sightings 2003 archive"
"This website is an ongoing, year-long project to keep an illustrated journal and species list from my wanderings in Rhode Island and New England, with a few forays to other locations. It is heavily weighted towards bird-watching, but my interests in natural history are varied, and the occasional plant/amphibiary/insect/mammal will make an appearance..."
"an exhibition (organized by Miriam Stewart) of over 70 sketchbooks and 45 drawings that were originally part of sketchbooks from the Fogg collection of nearly 150 sketchbooks. 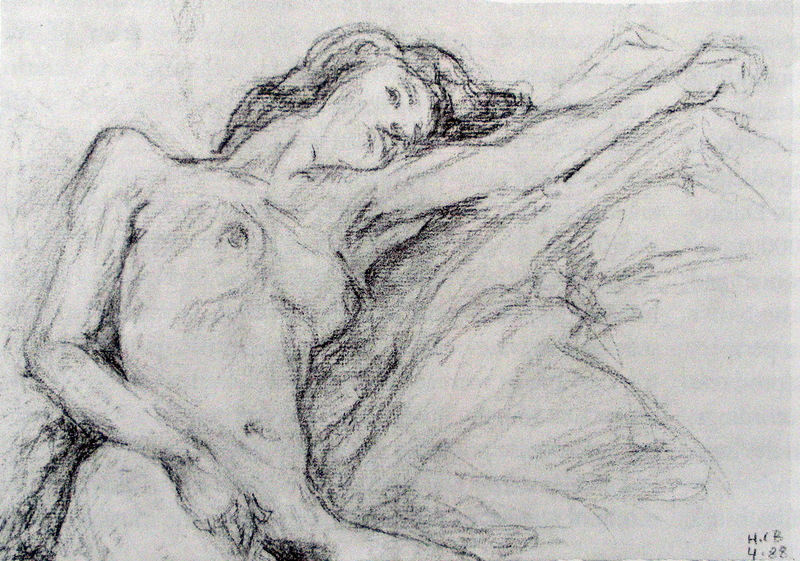 Intact sketchbooks include those by Jean-Honoré Fragonard, Jacques-Louis David, Sanford Gifford, Edward Burne-Jones, John Singer Sargent, Henri-Edmond Cross, Reginald Marsh, George Grosz, and Christopher Wilmarth. Also on view will be drawings that were removed from sketchbooks by John Constable, Paul Cézanne, Henry Moore, and Brice Marden . . .
Artists have used sketchbooks for centuries, entrusting travel sketches, figure studies, compositional ideas, and notes of every kind to their pages. 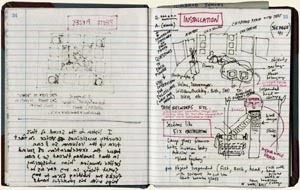 Designed to be easily portable, sketchbooks are often kept in artists' pockets and documenting an unusually personal view of the artist at work. The drawings and notes in these sketchbooks vary from nature and figure studies, to travel sketches, copies after old masters, expense accounts, and lists of pictures. Some sketchbooks are self-conscious and conceived as a whole, with every page signed, while others are more spontaneous and filled with a random assortment of hastily drawn sketches and doodles. 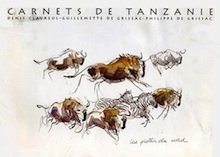 Notable Works in the exhibition include: Jean-Honoré Fragonard's Sketchbook from the First Italian Period (c. 1756-61), Jacques-Louis David's two sketchbooks for The Coronation of Napoleon (1805-6), George Grosz's Sketchbook: Manhattan Skyline and Mice (1950-51), and a selection of sketchbooks by Edward Burne-Jones, Sanford Gifford, and John Singer Sargent. Also featured are exceptional "orphans," drawings formerly part of sketchbooks, including Jan van Goyen's Three Studies of a Cow and Landscape with Cottages and Figures (c. 1650), John Constable's Warwick from Priory Park (1809), Edouard Manet's Study for "Interior at Arcachon" (1871), Paul Cézanne's Corner of the Studio and Portrait of a Man (Emile Zola?) (c. 1877-84), Brice Marden's Untitled Work Book Drawings (1983-84), Henry Moore's Ideas for Sculpture (1940), and several pages from a disbound sketchbook by David Smith, including studies for sculptures Pillar of Sunday, The Billiard Player, and Home of the Welder (1945)." 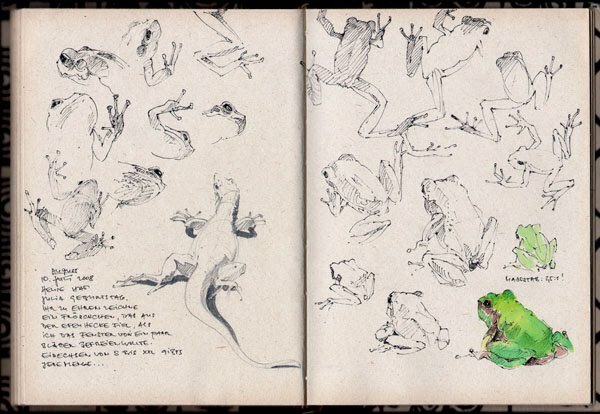 "I have kept sketchbooks ever since I can remember. 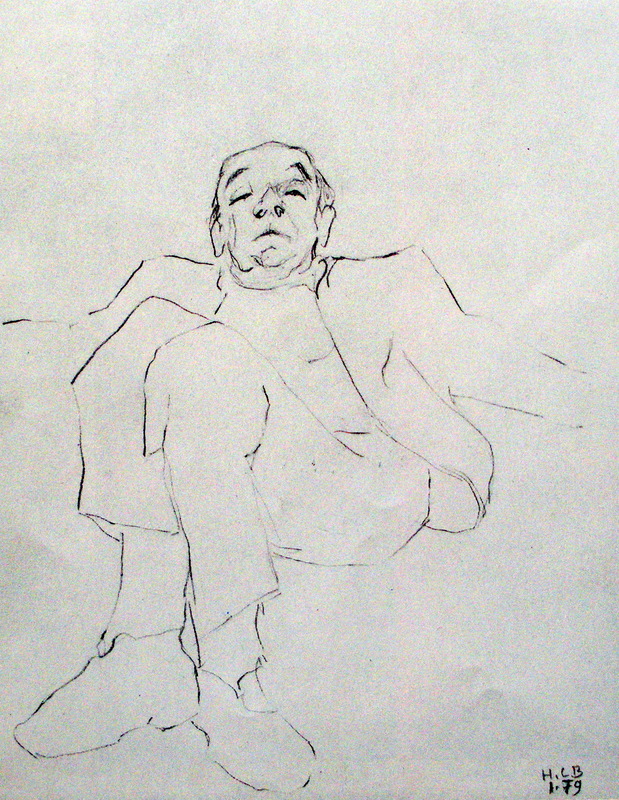 . . To sketch or draw is, for me, a practice of mindfulness, of being present with where I am and what's there. To draw is to honor the particularity of the moment, to oppose generality, to focus the looking and seeing. It has taken me too many years to understand that mundanity doesn't exist. Every moment is unique and pregnant with potential. Finding an interesting subject is more a matter of changing attitudes than it is changing places." It's always there in my pocket, there's no thrashing about, scrambling for the right color. 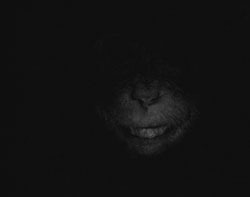 One can set to work immediately, there's this wonderful impromptu quality, this freshness, to the activity; and when it's over, best of all, there's no mess, no clean-up. You just turn off the machine. Or, even better, you hit Send, and your little cohort of friends around the world gets to experience a similar immediacy. There's something, finally, very intimate about the whole process. 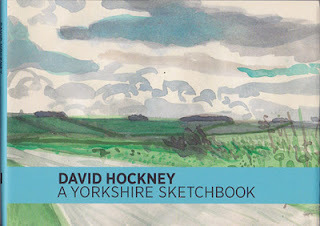 Yorkshire Sketchbook: In recent years David Hockney has returned to England to paint the East Yorkshire landscape remembered from his youth. Although his passionate interest in new technology has led him to develop a virtuoso drawing technique on an iPad, he has also been accompanied outdoors by the traditional sketchbook, an invaluable tool as he works quickly to capture the changing light and fleeting effects of the weather. Executed in watercolour and ink, these panoramic scenes have the spatial complexity of finished paintings - the broad sweep of sky or road, the patchwork tapestry of land - yet convey the immediacy of Hockney's impressions. And as in the views down village streets and across kitchen tables that appear alongside them, his rooted and fond knowledge of the Yorkshire Wolds is always clear. If you know the landscape there, the character of the sketches is unmistakable: if you don't, it will come to life in these pages. Â£ 14.95, 92 pages, 14.5 x 21cm, 43 illustrations. "Janejira has a great passion for sketching architecture and monuments during her travels. Many people take photos, while she prefers to sketch, because it is her way of connecting with the subject matter at a deeper level. 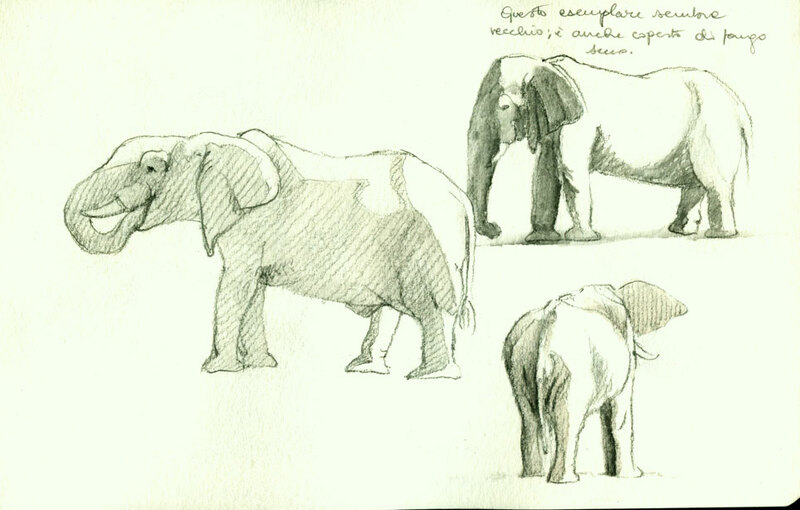 Rapid sketching exercises force our eye to pin point the most vital and essential features. . . 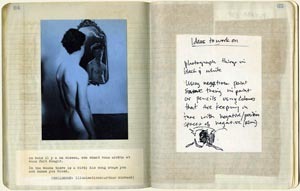 These are pieces excerpted from her sketchbooks. While some sketches took over an hour to execute, most were done as quickly as seven minutes." Not a sketchbook but one of the first surfaces for drawing!  Lebrun's guides for Disney's "Bambi"
from his loose papers. . .
"Levi was born to wealthy Jewish physician Ercole Levi and Annetta Treves... He studied medicine and graduated from the University of Turin in 1924. He did not practise medicine, choosing instead to become a painter and to pursue his political interests. In 1929, along with Carlo and Nello Rosselli he founded an anti-fascist movement called Giustizia e Liberta... His anti-fascist activities resulted in his exile (1935-36) to the remote province of Lucania. His experiences there are described in his novel 'Cristo si e fermato a Eboli' (1945), which reflects the visual sensitivity of a painter and the compassionate objectivity of a doctor... After World War II, Carlo Levi continued to write and paint..."
 Le cadavre exquis boira (the image) "...The initial drawing can be downloaded and modified... Here the image can be worked as print, as digital file, artworks can be scanned, photographed, etc, etc. 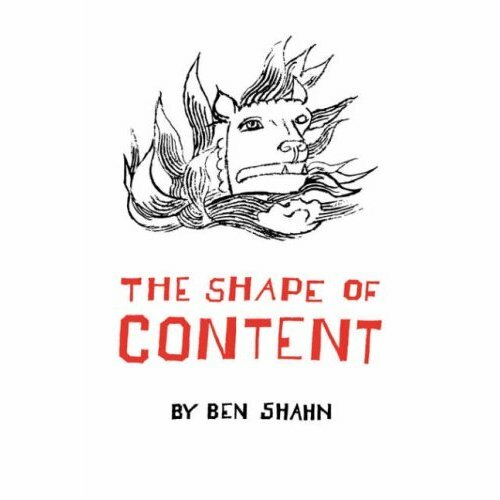 The idea of the (surrealist) game is to add parts sequentially, but internet time is also simultaneous..."
For thirty-six weeks, a sketchbook was sent in random order between four artists: two in Brooklyn, two in Belfast. Every Wednesday, one participant would receive the book. The following Monday it was sent out, giving each artist 5 days to complete a spread in response to the one that preceded it. A small portion of each entry extends on to the following page. beyond this, there was not communication between the artists concerning the content of the book during its making. The books first trip across the Atlantic was on 2 June, 2003. Its final trip was on 2 February, 2004. By the time it was completed, book had travelled over sixty thousand miles. Addison Gallery of American Art 1990.
not really sketchbooks, but artistic books worth viewing! 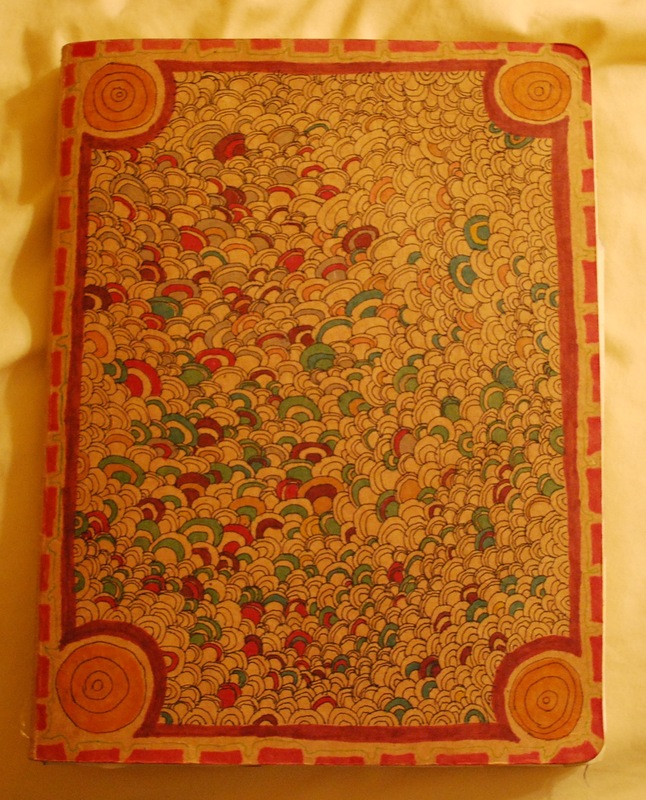 (He) presented the sketchbook to his daughter, Mary..."
Facsimile Sketchbook West Wind Relief, Edition C, with catalog. 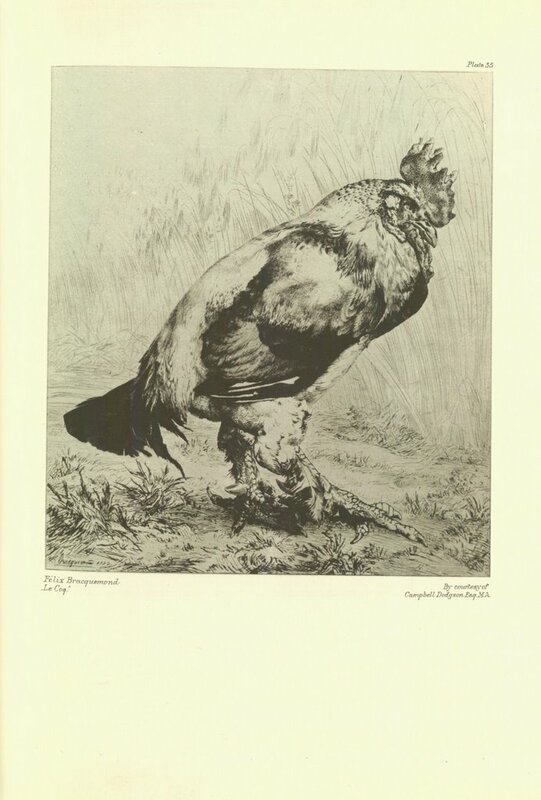 Signed and numbered in an edition of 250 by the artist in pencil. 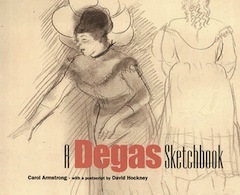 Contains 66 illustrations of drawings. 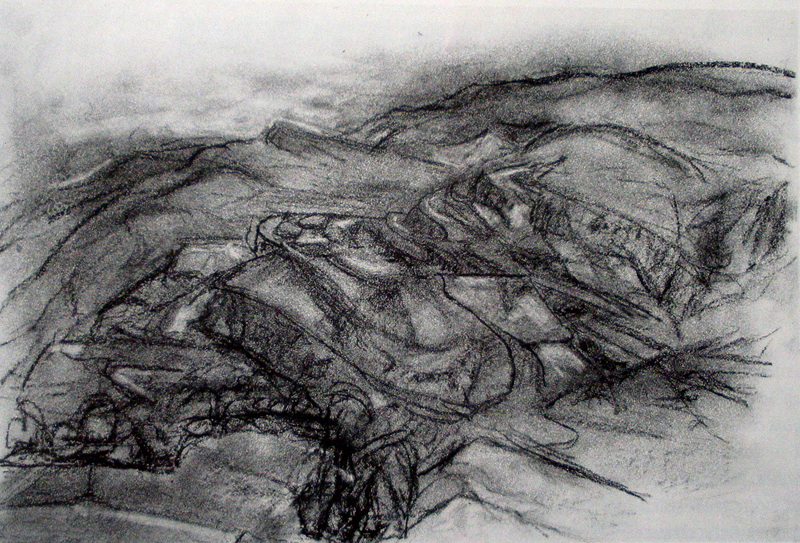 Exhibited in New York at the Alex Rosenberg Gallery, "The New Work by Henry Moore," April 27-June 30, 1983. 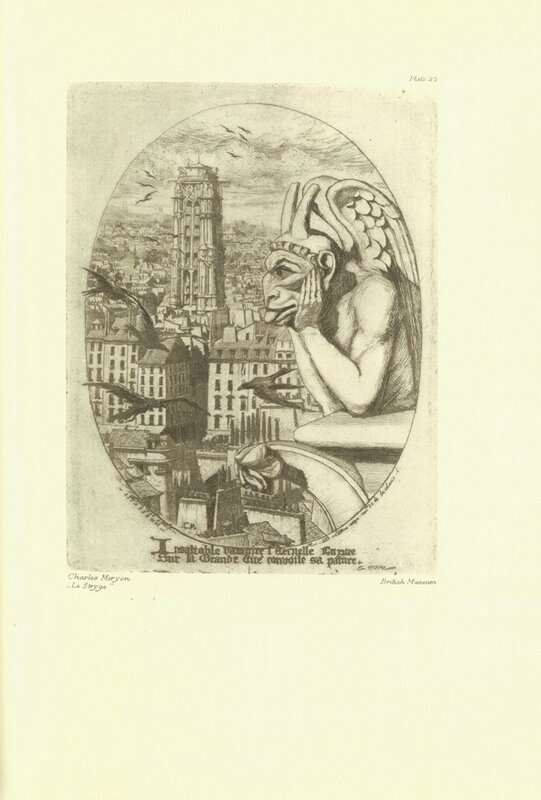 Catalogue with text by the artist. Facsimile sketchbook size: 8.85 x 6.89" (23 x 18cm). Printed in 1979/80 by Daniel Jacomet & Cie, Paris. This image is used with permission of the artist. 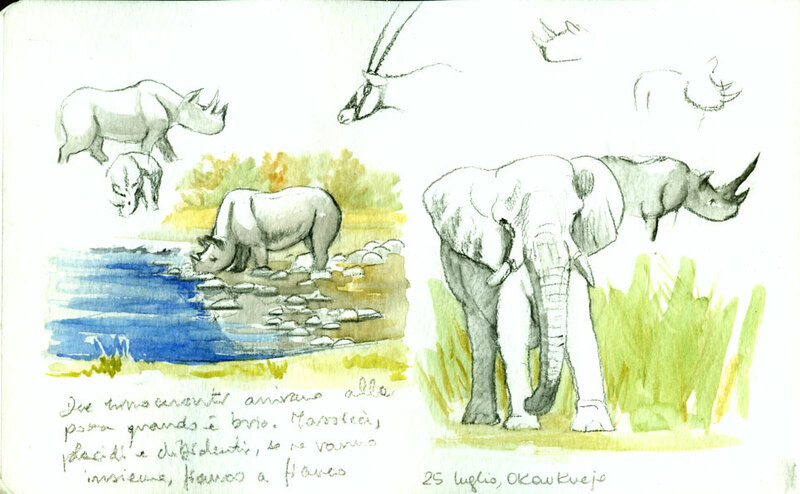 Tanzanian Sketchbook - © 2007 Roberta Paul - "Impala"
"Beatrix Potter was born in England and is known today for her illustrated books, especially those with Peter Rabbit. From childhood, she was an avid student of Nature. She drew and painted all the animals she could find, and loved painting mushrooms. 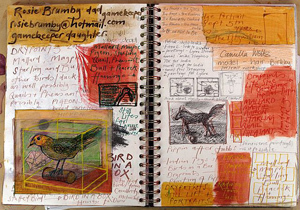 Potter filled many sketchbooks and kept a journal all her life. As a child, she drew and painted from life, but usually in her room, where she brought creatures she and her brother had collected. "I like to draw whatever is right in front of me when I'm sitting near water or beneath trees. I don't really see until I begin to draw. Drawing helps me understand what I'm seeing. It seems to untie knots of confusion within my mind as I work. Watercolor pencils are my favorite for outdoor drawing. I like drawing the stuff that gets left behind after something has gone through a great change--shells, seed pods, bones, snakeskins, cicada shells. I consider these things treasures. Human faces are interesting to me; they mirror the whole world. They contain mountains and oceans, flowers and storms. I draw and paint and sculpt faces. " -Kelly Finnerty - Morning Earth.  Kelly Finnerty an Artist/Naturalist. 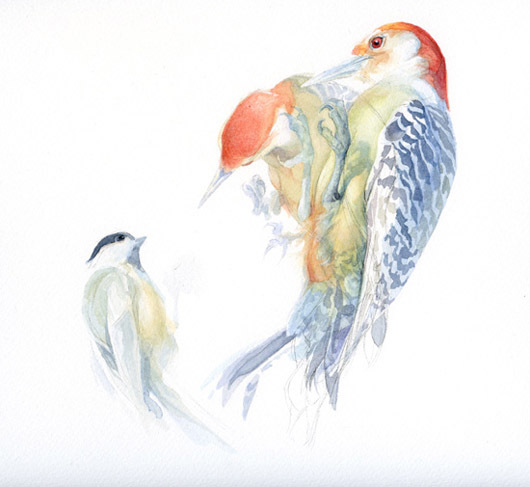 An Artist/Naturalist is a person whose intelligence and sense of self is embedded in Nature, and who expresses that deep connection through making art. 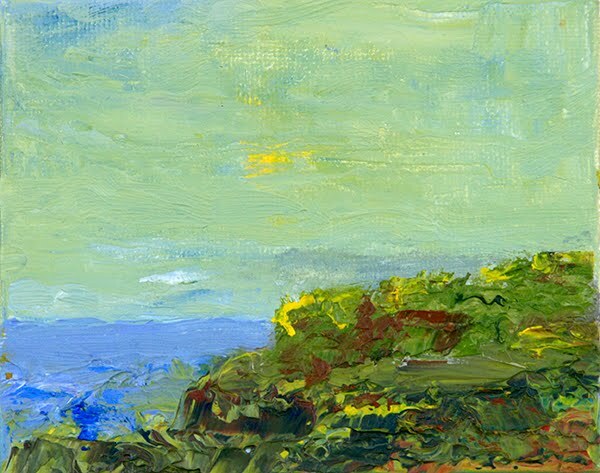 The Artist/Naturalists on Morning Earth pages include poets, painters, sculptors, writers. . . whose connection to Earth is profound. As can be seen from cave-paintings, Artist/Naturalists go back to human beginnings, for the arts have always been religious in their essence. Praise and celebration of life are root motives for making. Both art-making and the natural Earth are central to an Artist/Naturalist. They are the complements of the yin yang that completes the whole. 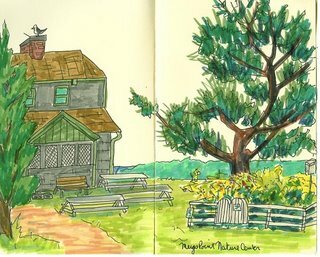 "I carry a sketchbook wherever I go. I'll use whatever is at hand - paper bags, hotel notepads, scraps - but usually I have a small leatherbound book, a brand which, unfortunately, is no longer made. When I heard that they were discontinuing them I bought a pile of them to tide me over... It looks like a bible more than anything else, and it fits neatly in my coat pocket. The paper inside is either antique white, or buff colored... and has a wonderful laid texture that will accept just about anything that lands on it - pen, charcoal, spit, you name it. The books have traveled with me all over the world, kept me company in places where I was a total outsider, couldn't speak the language. But the language of line was always there, and it bridged the barriers like nothing else could..."
US Army Combat Artist Team VII, Vietnam. 1968. "Ganges Departing the Himalayas" 12" x 16"
box of pencils and a drawing book everywhere i go..."
Orlando Ribeiro, A blacksmith and his assistant . . . "...The story of Naomi (V Jelish) is moving, but it is a hoax, the products of the imagination of Shovlin, 25, from Leicester (UK), a graduate of the Royal College of Art, who spent three years creating the fantasy. He produced the drawings, the cuttings, the school reports et al in order, as he explained, 'to test the boundaries of ambiguity'." Naomi V Jelish is an anagram of Jamie Shovlin. Sketch of boys sketching Scarlet Ibis. 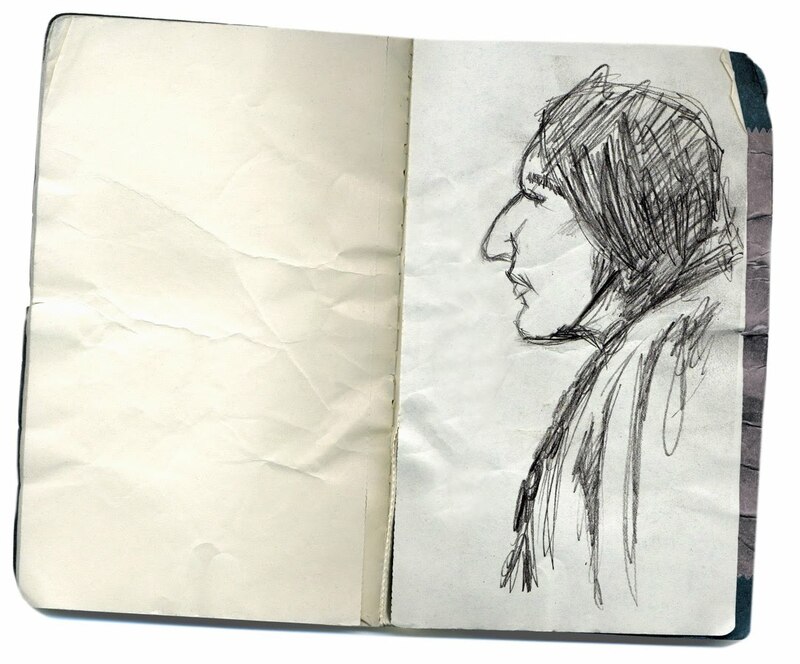 "Sketchbook.org is a no-nonsense, artist-run website made to focus on the beauty and diversity of the 'sketchbook'. 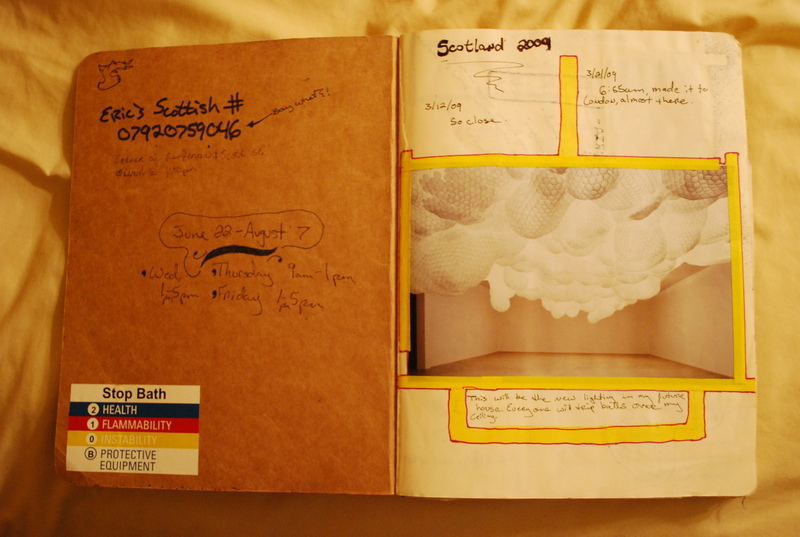 The sketchbook is an integral part of any artist's apparatus. This website gives artists a platform from which to display their work - by using it they can explore their own creative process while building links with others."  David G. Derrick Jr.
 FlickR lightbox: studies, studies, studies. . .
 Fuel pump 2008 graphite on paPer 15"x 11"
 Fuel: Uranium Drive-in 2008 graphite on paPer 11"x 14"
 Bridge 2008 graphite on paPer 11"x 15"
Carnets de voyages: Bonne route! "Graham Sutherland was an English artist. 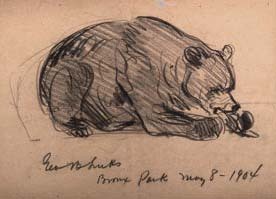 From 1940 he was employed as an official artist in World War II, as part of the British War artist Scheme. He worked on the Home Front, depicting mining, industry, and bomb damage. Sutherland also painted a number of portraits, with one of Somerset Maugham (1949) the first and among the most famous. 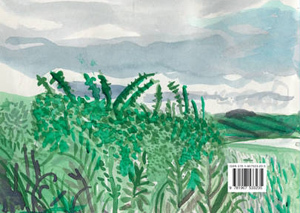 . ."
Pembrokeshire sketchbooks: watercolours and sketches. When Winston Churchill was in his eighties, Sutherland painted his portrait, which had the look of a befuddled bulldog. The controversial portrait, which Churchill himself hated because he said it 'makes me look half-witted', was commissioned in 1954 by past and present members of the House of Lords and House of Commons, and presented to the great statesman as a celebration of his eightieth birthday at a ceremony in Westminster Hall on November 30, 1954. The portrait was destroyed: it was burned on the orders of Churchill's wife out of anger only a year or two after its completion. . . Uncovered: Food for Thought, "I believe that a sketchbook is as much a work of art as a finished painting, sculpture or photograph. 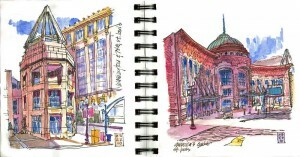 . . Sketchbooks can be the story behind the story or the glimpse into the artist's mind." - Kate Oberreich, curator. 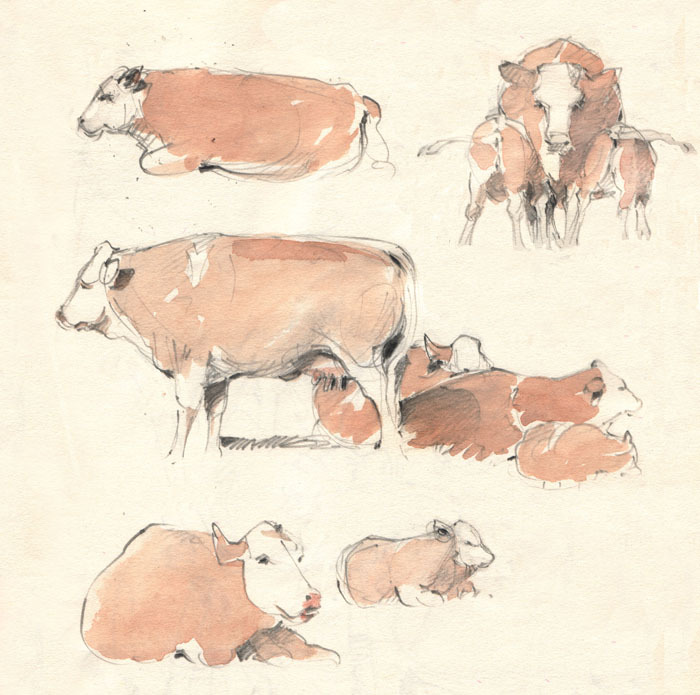 Sketchbooks: "Central to the process of artistic creation - for gathering information, sharpening visual acuity, generating ideas, and preparing for larger, more complex works - drawings are considered the most intimate and personal of all art forms. A uniquely Western phenomenon, they are a revealing expression of an artist's temperament, style, and working methods. The sketchbooks below were acquired by George A. Lucas (1824-1909), a Baltimore collector and art agent who arrived in Paris in 1857. . .
NYC Subway Drawings: "A collection of drawings I made on my phone, using my fingers and an app called "Brushes". I keep adding on as I ride around the city. 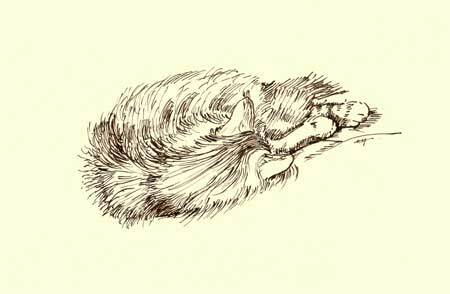 . ." - Ole Tillman"
"This is the first volume of what I hope will be a series of reproductions of the sketchbooks that my father, Steve Trefonides, has produced throughout his career. This one was made while he traveled with my mother, Phyllis, through Paris and Brussels in the mid 1980s." "A sketchbook believed to have been Vincent van Gogh's containing portraits similar to those in his most famous works has been found in Greece... Taken by a Greek resistance fighter from a Nazi train, the sketchbook was discovered in storage boxes by his daughter, who is seeking to establish its authenticity with the Van Gogh Museum in Amsterdam..."
"In spite of everything I shall rise again: I will take up my pencil, which I have forsaken in my great discouragement, and I will go on with my drawing"
"My sketchbook is a witness of what I am experiencing, scribbling things whenever they happen."
. . . artist, writer, & activist. "Years Ago Before the Nation Went Bankrupt"
NOT a sketchbook site in the usual sense! search the collection for "sketchbook"
Reciprocal links to this website are appreciated! IF YOU FIND A DEAD LINK   IT WOULD BE APPRECIATED.